Here at European Springs, we like to keep up to date with the latest news and developments from the field of engineering. There&apos;s no denying that innovation lies at the heart of engineering, and here we take a look at an exciting new innovation that is providing an important source of inspiration for engineers and which is thought to have the potential ability to revolutionise the engineering field. According to a number of reports, there is thought be a growing role for the ancient Japanese art form origami in engineering. Origami traditionally involves creating a variety of unique patterns and shapes through the art of paper folding, however today&apos;s engineers are also using this ancient technique to solve some of our world’s biggest challenges in what is being dubbed as &apos;origami inspired engineering&apos;. This unique approach to engineering design is said to be allowing engineers to overcome traditional design problems, aiding them in their search to develop new breeds of smart structures and active materials. Origami inspired engineering has already been used for a number of exciting applications. For example as detailed in a BBC report from earlier this year, researchers in the US have already developed a self folding robot, inspired by the art of origami. This robot is capable of taking shape and crawling without human intervention, in only 4 minutes. The robot was made using self folding hinges and flat sheets of specialised paper and plastic, designed to fold when heated. Self folding machines such as this are thought to have a vast number of potential uses, including as self deploying structures which could be used in search and rescue missions, humanitarian crises, and even space exploration. 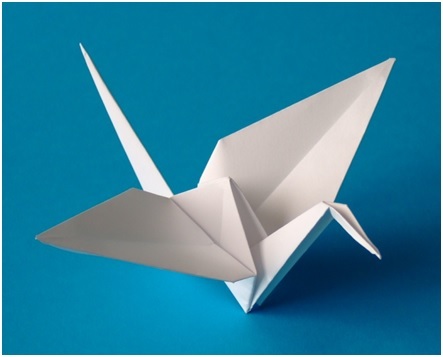 The design principles involved in origami inspired engineering are also expected to have applications within a variety of different fields, from medicine to the automotive industry. Indeed engineers have already used origami inspired engineering to create a number of innovative pieces of technology, such as cardiac stents that prop up arteries, air bags for cars that burst open in accidents, and folding mechanisms for use in the deployment of satellites and telescopes. Many believe that origami inspired engineering may ultimately help us to make complex objects and devices more easily and cheaply too. For this reason there is a growing amount of research being conducted into this exciting field which is thought to have the potential to make a real difference to our lives. Reports such as this highlight the dynamic and innovative nature of the engineering field. Here at European Springs we are a leading supplier of a wide range of high quality spring products including tension springs which are utilized for a vast array of innovative engineering applications. For more information about our range of products and services please do not hesitate to contact us today by giving us a call on +44 (0) 208 663 1800.